Instant #1 New York Times Bestseller! 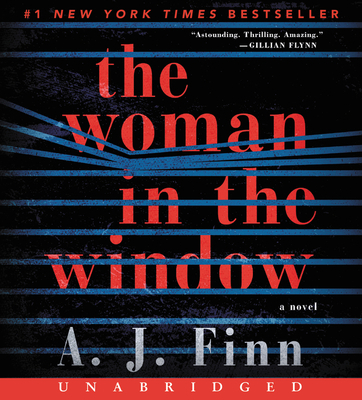 For readers of Gillian Flynn and Tana French comes one of the decade’s most anticipated debuts, to be published in thirty-six languages around the world and already in development as a major film from Fox: a twisty, powerful Hitchcockian thriller about an agoraphobic woman who believes she witnessed a crime in a neighboring house. Then the Russells move into the house across the way: a father, mother, their teenaged son. The perfect family. But when Anna, gazing out her window one night, sees something she shouldn’t, her world begins to crumble?and its shocking secrets are laid bare. Twisty and powerful, ingenious and moving, The Woman in the Window is a smart, sophisticated novel of psychological suspense that recalls the best of Hitchcock. BONUS: Includes an interview with author A.J. Finn. A. J. Finn has written for numerous publications, including the Los Angeles Times, the Washington Post, and the Times Literary Supplement (UK). A native of New York, Finn lived in England for ten years before returning to New York City. Any questions, comments, or concerns? Contact us at books@chapter1bookstore.com. Thanks!